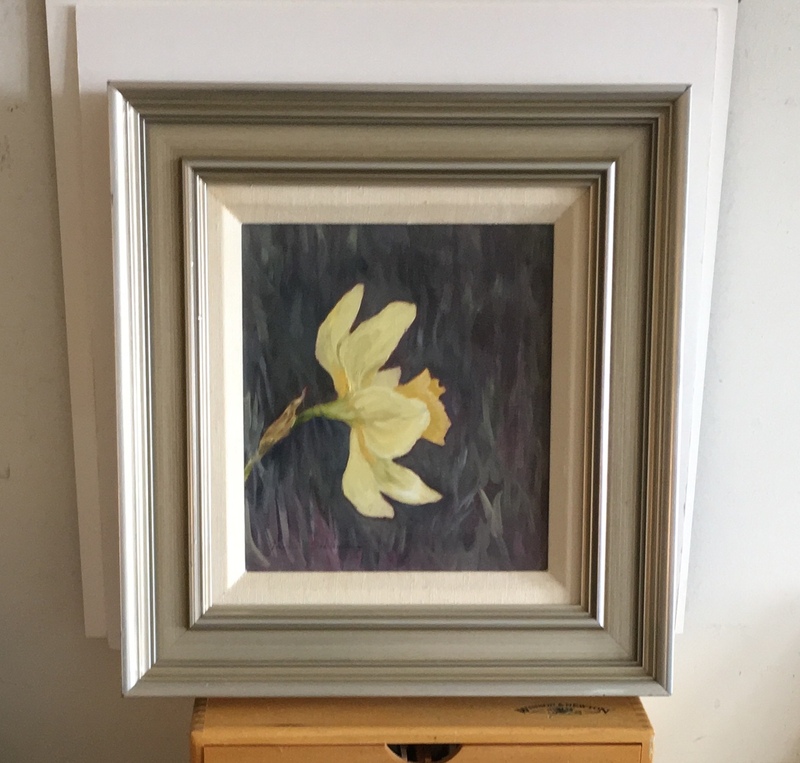 Original oil portrait of a daffodil. Image size is 8” square. Special double framing fro a gallery. Overall framed size is 13.25” x 14”. Painted on a panel.